The team at East West College came to us feeling frustrated that their website was stale, confusing to visitors, and inconsistent with their branding. 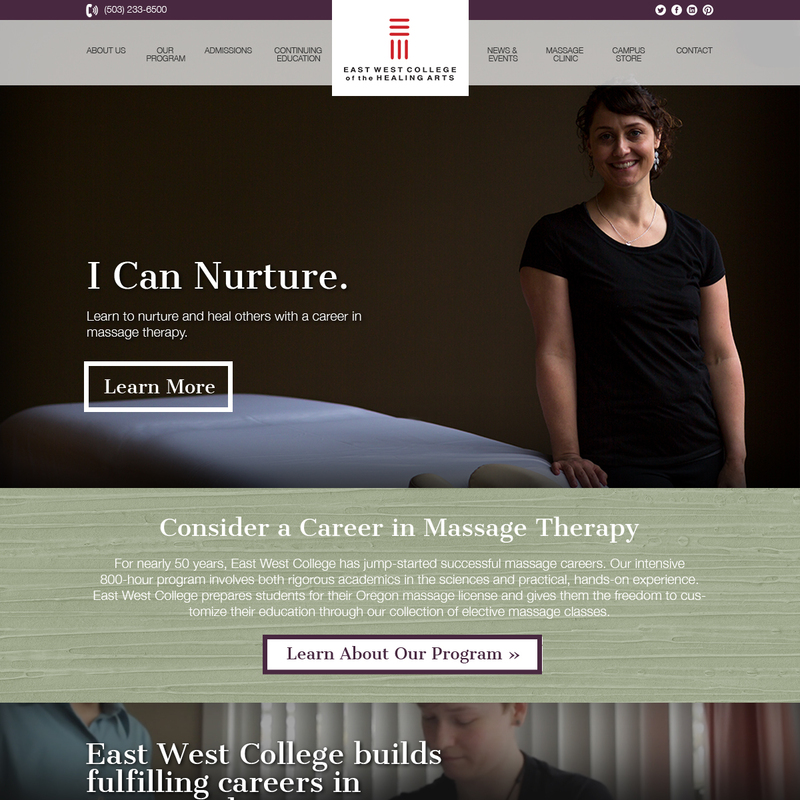 We designed an all-new website that showcases the student experience of their massage training program, and also reflects their calming visual style. While working with East West, we noticed that their website could do more to give prospective students a glimpse of what student life is like. So, we brought in engaging photos of real students as a key part of our design. Most importantly, our strategic web content and navigation restructuring made important information engaging and easy to find for different types of users, from prospective students to alumni. And, of course, it looks and works beautifully on both desktop and mobile devices. "When we first approached Upswept Creative about a website redesign, the Admissions Office was fielding dozens of questions each week, from people looking for basic information that was already on our website. Since launching the redesigned site, we've seen a dramatic decrease in basic questions, and prospective students are reaching out to us with a much better understanding of what we offer! The new website's design is also a much better fit with our branding, and truly reflects who we are and what student life is like."